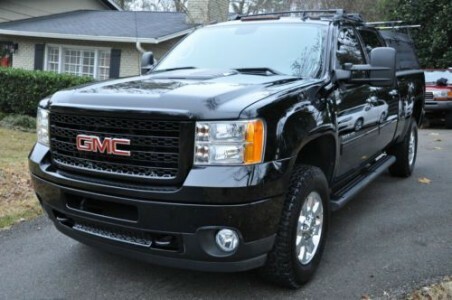 2011 GMC Sierra 3500 Denali Truck. Private financing available. Please call 250-703-3336 to view. 2017 Ford F-350 Lariat Dually Truck. This Truck comes fully loaded with new tires. For Purchase or take over payments. Please call 780-982-7517 to view. 2018 Dodge Ram 3500 SLT Truck. SiriusXM, Air Conditioning, Power Doors. According to Edmunds, the 2018 Ram 3500 is a top pick for a heavy-duty truck thanks to its refined interior, forgiving ride, and tremendous towing and hauling capabilities. 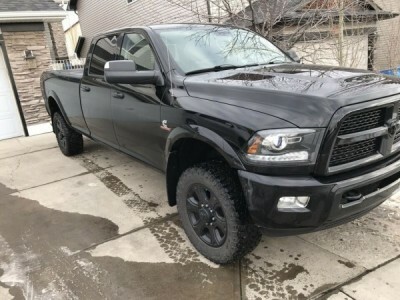 This 2018 Ram 3500 is for sale today in Surrey. This 2018 Ram 3500 Heavy Duty delivers exactly what you need: superior capability and exceptional levels of comfort, all backed with proven reliability and durability. Whether you're in the commercial sector or looking at serious recreational towing and hauling, this Ram 3500 is ready for the job you put in front of it. 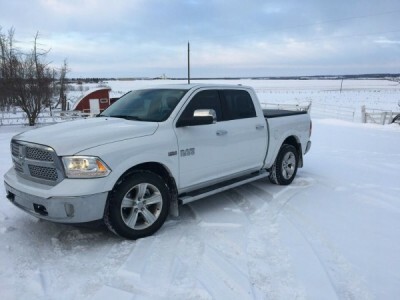 This sought after diesel crew cab 4X4 pickup has 31557 kms. It's bright white in colour. It has an automatic transmission and is powered by a 6.7L I6 24V DDI OHV Turbo Diesel engine. This vehicle has been upgraded with the following features: Siriusxm, Air Conditioning, Power Doors. Our 3500s trim level is SLT. 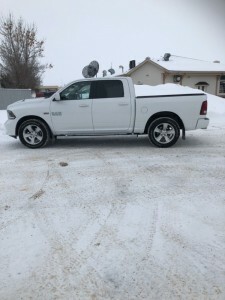 The SLT trim adds some nice features to this Ram while remaining a great value. It comes with air conditioning, power doors with remote keyless entry, cloth seats, an overhead console, SiriusXM, an audio aux jack, a USB port, chrome grille and bumpers, automatic headlights, electronic stability control with hill start assist, trailer sway control, electronic roll mitigation, all-speed traction control, and more. Private financing available. Please call 778-823-0145 for more information. 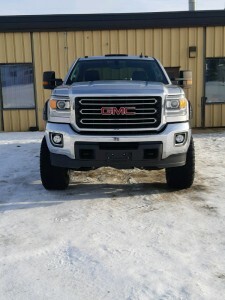 2015 GMC Sierra 2500HD SLT Truck. 6.6 L Duramax Diesel engine. Beautiful bronze alloy in color. Private sale, no tax and no dealers please! 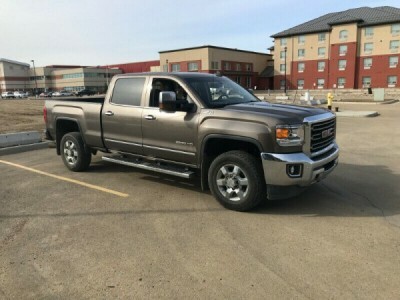 Low mileage at 143,925 km, with an extended GMC warranty to 171,000 km or Mar 2020. Loaded, w/heated leather seats and steering wheel, engine brake, adjustable driver seat, and pedals. New tires Goodyear Wrangler w/Kevlar, Seats 6, Bluetooth, OnStar Nav, Sirius Satellite, Line-X box liner. Private financing available. Please call 780-205-1305 to view. 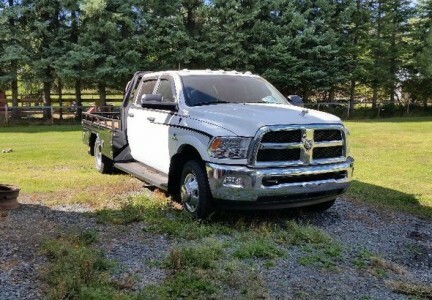 2011 Dodge Ram 3500 Longhorn Truck. This truck is low in km, never winter driven. Immaculate inside and out. Comes with 5th wheel hitch, 6.7 Diesel. Leather seats. Sunroof, Alloy wheels, Navigation system, Bluetooth, Parking assistant, Cruise control, Trailer hitch, Air conditioning. All glass good condition. Very sound truck. Reason for selling, is I am leaving the country. Private financing available. Please call 780-512-9025 to view. 2017 GMC Sierra 1500 Denali Truck. 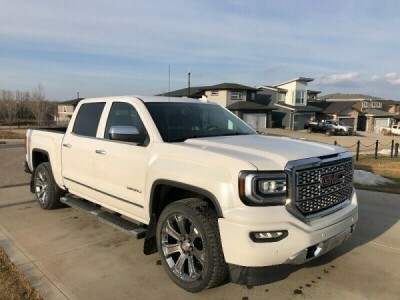 This is a fully loaded White Frost Tricoat 6.2L Denali. 420 HP 460 ft/lbs of torque. 22” alloy GMC rims. 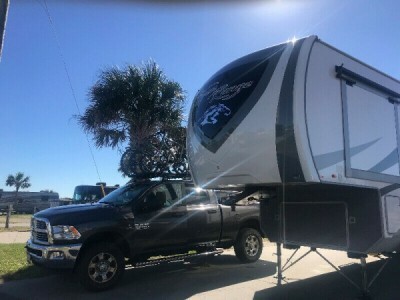 Ready for you to tow in comfort with factory trailering package. BOSE premium noise cancelling sound system makes it silent on the highway. Magnetic ride suspension, Sunroof, Navigation, lane assist, heated/cooled leather seats, heated steering wheel, automatic high beams, front and rear park assist, spray in bed liner with box lighting, rear camera,wireless phone charging console, 6” chrome assist steps, step back mud flaps, weather tech mats front and back. Truck has every option available was $78,000 MSRP. Highway driven. Private Sale No Tax! Private financing available. Please call 778-215-5103 to view. 2017 Dodge Ram 3500 Laramie Truck. Heavy Duty delivers exactly what you need: superior capability and exceptional levels of comfort, all backed with proven reliability and durability. Whether you're in the commercial sector or looking at serious recreational towing and hauling, this. 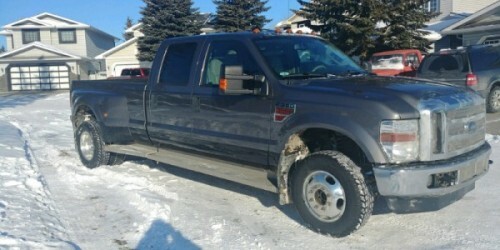 This sought after diesel crew cab 4X4 pickup has 43519 kms. It is grey in colour. It has a 6 speed auto transmission and is powered by a 383HP 6.7L Straight 6 Cylinder Engine. This vehicle has been upgraded with the following features: Leather Seats, Heated Seats, Bluetooth, Siriusxm, Chrome Trim. It has some remaining factory warranty for added peace of mind. Our 3500s trim level is Laramie. The Laramie trim on this Ram 3500 adds some luxury to this workhorse. On top of its outstanding capability, it comes with tasteful chrome trim, Uconnect 8.4-inch infotainment system with Bluetooth and SirusXM satellite radio, heated and ventilated leather front seats, a heated leather-wrapped steering wheel, power folding, heated, auto-dimming, memory mirrors, an electronic trailer brake controller, rear park assist, and much more. Please call 250-991-8387 to view. 2015 Dodge RAM 1500 Sport Truck. 4x4. Selling truck for my girlfriend. Looking to buy a bigger truck for holiday trailer. This truck is very clean inside and out runs and drives perfect. No issues with truck what so ever. This truck has everything. Heated/aircond seats leather, nav system, power sunroof and much much more. A must see! $39,500.00 OBO. Comes with extended warranty. Please call 780-690-7703 to view. 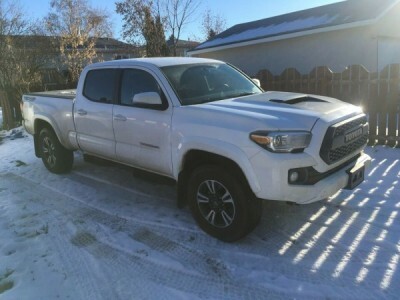 2017 Toyota Tacoma TRD Sport Truck. grill Front skid plate Rock rail running boards Winter studded tires Led headlights Front 3M Front black hood decal Mud flaps. Private financing available. Please call 780-243-1375 to view. 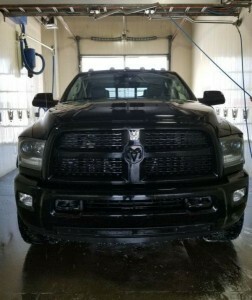 2013 Dodge Ram 2500 Limited Edition Truck. Premium Black Leather, Heated Steering wheel, Heated Front & Back Seats, Ventilated front seats, Navigation, Sunroof, Power Sliding Rear Window, 6.7 Litre Diesel Engine, Factory Wheel to Wheel Side Steps, Roll Up Box Cover, Reese 18,000 lb Quick Release 5th wheel with Flush Mount box mount. Aluminum Rims in 100% condition, New Tires, Ram Box, Sprayed Box Liner, Fender Flares. Trailer Tow Package with brake controller, Factory Skid Plates, Power Train 100% from Factory - has not been modified. Please call 780-910-6565 to view. 2016 Ford F-350 Lariat Truck. Loaded 6.7L powerstroke V8. Very Low Kilometres. 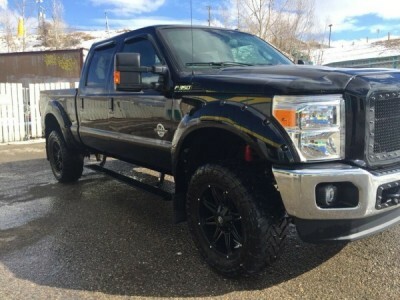 3” Lift, custom front grill, rear airbags, automatic sidestep with lights, F-350 side lights, full Sync system with Nav screen, black leather interior, heated /cooled seats in front, remote start, heated seats in rear, sunroof, spray in box liner, hard 4 fold tonneau cover, fender flares, 35 “ tires with Mayhem rims, 3M perfection on front, under coat protection, paint protection, extended warranty. No engine mods/never been chipped. All upgrades done professionally through Innovative Autoworx. Please call 403-369-1091 to view. Private financing available. 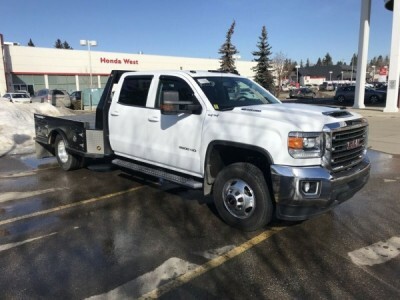 2017 GMC Sierra 3500HD Flat Deck Truck, a rare very desirable Chassis with 4:10 Gears, heavy spec axles and frame. This is the heaviest duty truck GM currently builds, I have driven it a few times with 20,000lbs and it pulls like nothing is there, very impressed with the new L5P Duramax. I bought it New in 2018 from CMP last April as a chassis, put a new Bradford Built custom deck on it and have used it very lightly. It is in Almost new condition with all maintenance up to date and records to go with. Extended warranty is still available as well from the dealer. I am unfortunately selling this beast since I moved into town and cannot justify a diesel to commute 10 mins to work. I know every mile and this truck perfect. Please call 403-826-7874 to view. 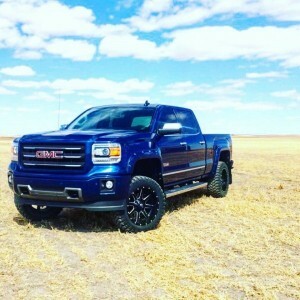 2015 GMC Sierra 1500 All Terrain Truck. Truck is in great shape. No issues at all. This truck is fully loaded, only thing it doesn’t have is a sunroof. It does have the bigger box 6.6 ft and lynex. Truck has a 4.5 “ zone lift kit. 20” fuel maverick rims (new August 2018). 33” conforser cf 3000 tires. Colour matched stampede fender flares. Window tint. K&N air filter. Kickback mudflaps. Brand new front windshield. Weather tech floor matts. truck comes with stock 20” wheels and tires. No trades. Open to offers. Please call 403-485-8497 to view. 2015 Dodge Ram 3500 Truck. Cummings diesel, bully dog chip, custom-built deck, running broads are powder coated made out of aluminum and custom made. Please call me 250-981-2953 for more information. 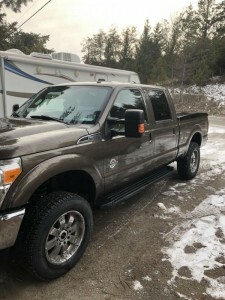 2009 Ford F-350 Lariat Truck. Shows like new. Meticulously maintained daily driver. Personal & recreational use only. 2nd owner, no accidents. Regular oil changes completed and all fluids are synthetic. 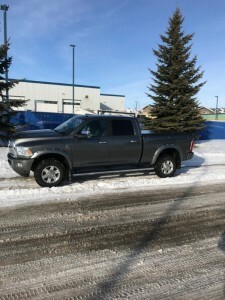 All aluminum custom running boards, remote starter, EGR delete (Sinister Diesel), DPF delete with 5" turbo back exhaust, S&B cold air intake, Mini Maxx tuner, heads studded (ARP head studs), performance torque converter (SunCoast), Line-X bedliner (lifetime warranty), new winter tires at 193,000kms, and much more! All work completed professionally & receipts can be provided. Professionally detailed. This truck shows pride of ownership. Only selling because I am not hauling our trailer anymore. Please call 403-992-8135 to view. 2014 Ford F550 Truck + Hiab Picker Combo. 6.7L diesel, auto, DRW, positive air shutoff, back up alarm. Hiab 035-2 picker. 6ft deck, large tool cabinets with drawers. Please call 780-872-4506 to view. 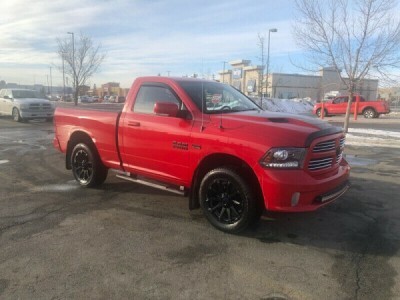 2016 Dodge Ram 1500 Sport Truck. 4x4. Truck Is in Showroom Condition With All Highway Miles. 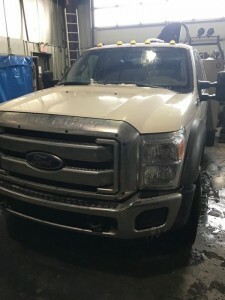 Truck was purchased in March 17, 2016 with many dealership-installed upgrades. Dealership Build Document (See attachment). Dealership Invoice (See attachment). 200,000 km Warranty (Extended Gold Warranty) (Warranty is transferable to new owner). Premium Protection Package. UV Protection Package. Interior Protection Package. Under Carriage Protection Coating. 3M Protection. Front Hood Deflector. Side Window Deflector. Custom Rims. Summer / Winter Tires (Truck is currently running winter tires). Leveling Kit. Spray In Box Linear. Hard Top Tonneau Cover. Cell Phone Booster (Professionally installed by Communication Group). This vehicle has been looked after from new and has had only 1 owner. Vehicle has been professionally detailed cleaned (Every 4–6 Months). Synthetic Oil (Since New). Non Smoking Vehicle. 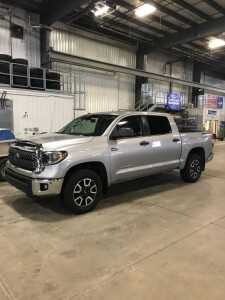 Vehicle had minor hail damage in summer of 2018 & tonneau cover was replaced. Minor hail damage was covered under insurance. Vehicle is Priced To Sell. New Purchase Price: $64,270.41, Finance Remaining On Vehicle: $42,826.22 (As of February 20, 2019). Please call 403-703-7933 to view. 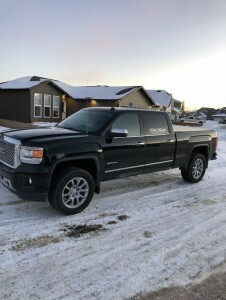 2014 GMC Sierra 1500 Denali Truck. Alloy wheels. Navigation system. Bluetooth. Cruise control. Trailer hitch. Air conditioning. 6.2 litre 420 hp 460 ft. Tonneau cover. Well maintained. Highway km. Spray in box liner. Phone booster and radar detector. No issues really good trucks. Original owner. Navigation. Heated and cooled seats. No accidents no dents. Synthetic oil used every oil change. Toyo 305 wide tires 2” lift. Auto 4x4. Please call 780-778-1883 to view. 2017 RAM Rebel Mojave Sand Edition Truck. I am considering changing vehicles, and am looking for someone to take over payments on my truck. I got a bunch of free oil changes throw in with the extended service package as well, 10 left as well as 11 free tire rotations. Extended warranty is 5yr 100,000 Gold. 5.7L Hemi. 8-spd auto. Nitrogen adjustable suspension. Spray-in Bedliner. Looking for a 1994-1997 12-valve Dodge 4x4. Please call 780-905-0067 to view. 2018 Toyota Tundra TRD Crewmax Truck. This truck is in near mint condition. Nav, bluetooth, Sirius, heated seats, cruise control / proximity sensors, backup camera, slow descent tailgate, Sunroof, Navigation system, Bluetooth, Cruise control, Trailer hitch, Air conditioning, spray in boxliner. Winter tires on truck, stock tires included. Plenty of tread on both. Clean truck, all servicing done at Sean Sargent Toyota. I no longer need this truck for work. Serious inquiries only. Please call 780-512-5114 to view. 2016 GMC Sierra 2500HD SLE Truck. 6.5ft box. Spray in box liner. Dual batteries. Has 6" pro comp lift. Fender flares. Running boards. 325/65/18 duratracs. Fuel rims. Heated leather seats, bench seat in front. Storage box under backseat. Back up Camera. Only reason for selling is I want to get another diesel. Please call or text 780-933-8007 to view. 2017 RAM 1500 Laramie Truck. Fully Loaded 2017 RAM 1500 Laramie. Great truck. Laramie options, Sunroof. Alloy wheels. Navigation system. Bluetooth. Push button start. Parking assistant. Cruise control. Trailer hitch. Air conditioning. park sensors from and rear, backup camera, tow package, leather interior, heat/cool front seats, heat steering wheel, heat rear seat, remote start keyfob, push button start, dual auto climate control, full size crew cab, Bluetooth U-connect, sport 20” rims, LineX spray in box liner, mopar soft flip box cover, front windows tinted to match factory rear, full warranty remaining, prepaid service contract to 100,000 km (oil/tire rotation), original owner, selling due to work circumstances (ask for details), open to reasonable offers. Please call 403-593-0277 to view. 2005 Chevrolet Silverado 1500 Z71 Truck. 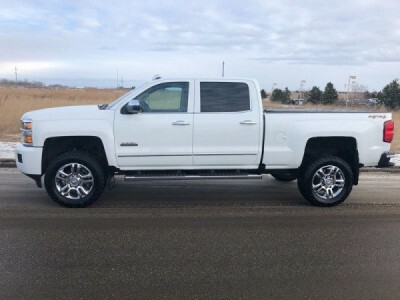 Fully loaded including power leather seats, factory bose stereo with steering wheel controls, dual auto climate control, power mirrors, power windows, cruise control, Z71 off-road package. Runs and drives excellent. Please call 403-715-2926 to view. 2016 Chevrolet Silverado 2500HD Z71 High Country Truck. 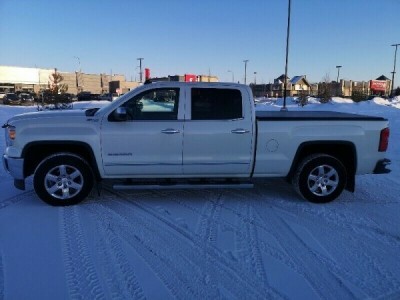 2016 Chev 2500 HD High Country 4x4 Z71, white exterior, cocoa dune leather interior, 20” factory polished aluminum wheels, 295/65R20 Toyo Open Country AT2 Extreme tires with only 8,500km on them, HD Chev rubber mud flaps, 20” led light bar, 3M paint protection on the front, color matched front and rear bumpers, 3” levelling kit (dealer installed), K&N cold air intake, 6L Vortec, optional B&W turnover ball fifth wheel hitch, led bed cargo lights, factory installed bed liner, blacked out bowties, rear backup camera, power folding heated sport mirrors, high country exterior package, power rear sliding window, onstar w/4G internet connection, blacked out cab lights, optional aluminum flip back locking box cover (factory installed), 6” oval step bars (factory installed), power sunroof, heated and cooled power front seats, 8” touch screen, Bluetooth, wireless charger, 110v inverter, heated steering wheel, fully loaded with all high country options. Please call 780-893-7300 if interested. 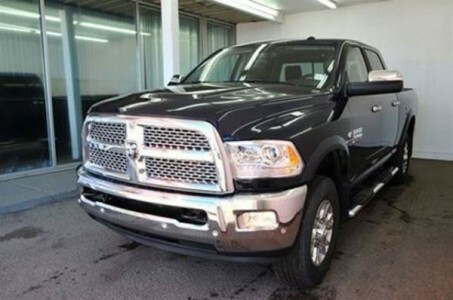 2014 Dodge Ram 3500 Laramie Truck. 4x4 Long box with 6 spd manual EGR and DPF delete with tune runs perfectly. New shocks and ball joints and all fluids just done. Private Financing Available Please call 403-542-9504 to view. 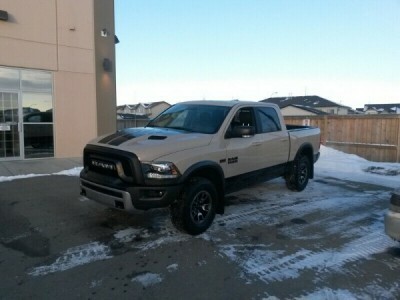 2015 Dodge Ram 2500 Blackout Edition Truck. 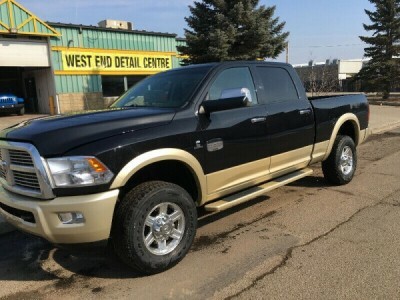 Fully loaded black leather interior for 49,500 Ready for viewing, Please call or text 403-585-6146 to view. 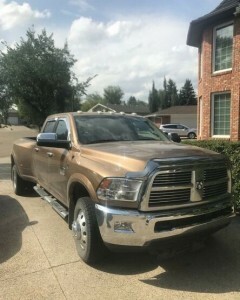 2012 Dodge Ram 3500 Dually Longhorn Truck. Fully loaded with the longhorn package and all chrome. Comes with running boards as well they were taken off to see if another set suited it better but back on the truck now. Hidden storage underneath mats as well as u see passenger seats. Sunroof. Alloy wheels. Navigation system. Bluetooth. Push button start. Parking assistant. Cruise control. Trailer hitch. Air conditioning. Beautiful truck in really great condition has had an easy life. I bought it to tow my horse trailer but am selling the trailer so don’t need the truck for a daily driver. I only towed my trailer with it once but pulled it like a dream. Walk through video upon request. I am away at work currently but you can text or call me at 780-781-1519. 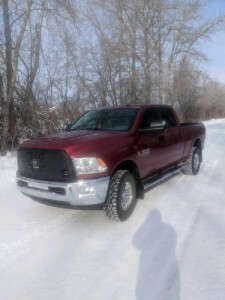 2013 Dodge Ram 2500 SLT Truck. Second owner bought truck. Firestone airbags. Fifth wheel rails hitch not included. 285 75/R17 good year duratracs studded also have stock tired that came with truck. 20" led light bar up front. Rear bumper has two led flush mount pod lights. All recalls are up to date. NO accidents. Never had an issue with the def system I can make it 10000km on a jug not towing of course. NO TRADES. 780-239-0054 to view. 2016 Ford F-350 Lariat Truck. fully loaded. Heated front and rear leather seats. A/c seats. 6 passanger. Extended warranty. Under coat sprayed when new. 3m tape front end when new. Upgraded stereo system. Levelling kit. Air bags in rear. LineX box liner. 20 inch Cooper discover studded winter tires 90%. 22 x 37 Toyo MT summers. Has been a great truck. Do not want to sell but need something different for wife and kids. Truck is located in Invermere BC. Not looking for trade or low ball offers. Please call 250-688-7383 to view. 2014 GMC Sierra 1500 SLT Truck. EXCELLENT CONDITION. 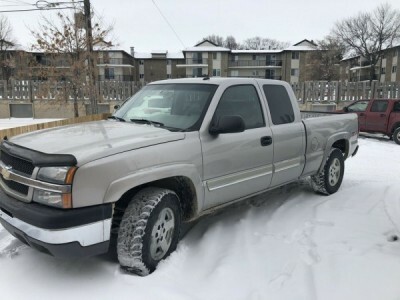 5.3L Loaded, white diamond paint, cocoa dune interior, factory remote start, navigation, leather heated and a/c seats, Z71 off road package, trailer tow package. Tons of extras, Armargaurd spray in liner, Tuxedo tonneau cover, weather tech floor mats, cloud ride winter grill inserts. Comes with Curt E16 sliding fifth wheel hitch. Very well maintained, has extended warranty. Please call 780-691-8984 to view.